Matt Johnson has been on the Pastoral Team at Suncrest since January 2014. He leads the Ignite Movement, which is a new faith movement designed to reach young adults and college students. Matt is graduate of Asbury Theological Seminary in Wilmore, KY and Messiah College in Mechanicsburg, PA. Matt is passionate about putting mission and discipleship back into the hands of ordinary and believes that micro-missional communities are the future of the church as we know it. Matt is married to Beth and together they open their home to love and care for children in the foster care system. Matt loves watching baseball, WVU sports and hanging out with friends. Angela Smith serves as the full-time Director of Music at Suncrest United Methodist Church. Along with conducting the choir, leading the praise band, and serving as the organist and pianist, Angela oversees all musical programming at the church, including traditional, contemporary, and coffee house services as well as concerts, hymn sings, and dramas. Angela received her bachelor’s degree in music education from West Virginia Wesleyan College and her master’s degree in choral conducting from Louisiana State University. Before joining the Suncrest staff, she led music in various churches and taught school in Waynesburg, Pa.; New Orleans, La. ; Baton Rouge, La. ; and Kodaikanal, India. Yvonne Lee is the Director of Children and Youth Ministries. She has been on staff since 2012 starting out directing Kidz Rock AfterSchool, then later became the Children’s Ministries Director in 2013 and Children and Youth Ministries Director in 2017. Yvonne has three sons Jeremy, Jackson and Isaiah. She loves seeing the world through the eyes of children. Her greatest desire is to encourage kids of all ages to use their gifts to their full potential. Yvonne has also volunteered at city missions, crisis pregnancy centers, prison ministry, a half-way home for women suffering with addictions and schools in Jamaica. Christina Hostutler, is a graduate of West Virginia Junior College. 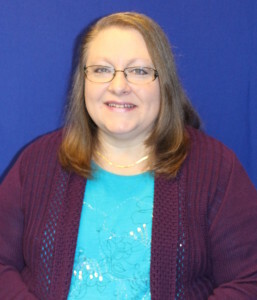 She has been employed at Suncrest United Methodist Church since 1995 and is currently the Director of Communications. She was also the financial secretary at Spruce Street United Methodist Church until November 2013. She is the coordinator and founder of the Little Miss and Mister Liberty Pageant and the Autumn Beauties Pageant, as well as the S.A.S.S. (Strong and Sophisticated Sisters) organization, which is a group for girls ages 12 to 18 that focuses on positive self image, fellowship and support, and community service. She has two children, Zackary and Jakob. Her favorite activities are taking photographs, reading, scrapbooking, and spending time with her family. 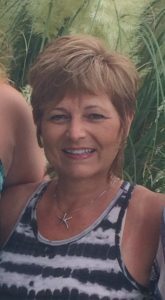 Robin Meadows joined the Suncrest United Methodist Church family as the bookkeeper in the spring of 2017. 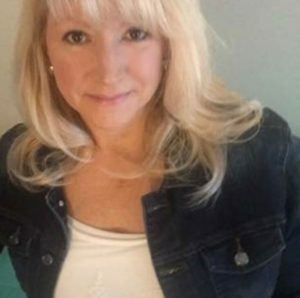 Robin is a lifelong resident of Uniontown, PA. She holds an Associate Degree in Business Administration from The Pennsylvania State University. She is just a smidgen short of her Bachelor’s Degree in Accounting from The California University of Pennsylvania. Finishing this degree is on her bucket list! Robin brings over 30 yrs. of bookkeeping experience to share with our church. Robin has been married to her high school sweetheart, Steven, since 1982. They have been blessed with three daughters. Justine Leah is a 6th yr. pharmacy student at Duquesne University. Alexandra Anne is a 2nd yr. nursing student at Waynesburg University. Her twin, Sera Elisabeth, is a 2nd year psychology student at Slippery Rock University. Completing the mix is their 6 yr. old black lab, Jasper. Robin’s first love is spending time with her family. She is an avid beach lover. In her spare time she enjoys yoga and reading. I would like to tell you a little about myself and how I came to have the position of Parish Health Nurse at SUMC. I have been a nurse since graduating from WVU School of Nursing in 1980. I worked at WVU hospital for 16 years in adult critical care. My husband Doug and I were blessed that I was able to take 5 years off to be a stay at home mom for my two children, Kristin now 27 and Evan 22. My 1st day back to work as an IV infusion nurse was the day my son started kindergarten. Since then I have worked in various positions at Mon General Hospital, Health South as well as WVU CPRC (Clinical and Pharmacologic Research). I worked there part time and was praying that I would find another part time position. After a week of earnestly seeking God for direction, I saw the Parish Nurse position advertised in the Sunday bulletin. It was a true answer to prayer. I have been blessed with this opportunity to work with the SUMC congregation and serve God in this way. Both my grandparents and parents were members of Drummond Chapel and I grew up in this church. So coming back here was like coming home. I look forward to getting to know you and providing any support, resources, or education needed to promote health and wellness in the church body. Thank you for this opportunity. Mary Morrison has been active in Suncrest United Methodist Church’s music program for more than 37 years. The Iowa native earned her bachelor’s and master’s degrees in music education from Drake University in Des Moines, Iowa. She moved to Morgantown in 1968. Over the years, she has worked with SUMC’s youth and teen choirs. In 1977, she founded the bell program here at Suncrest, starting with a 3-octave set of bells. 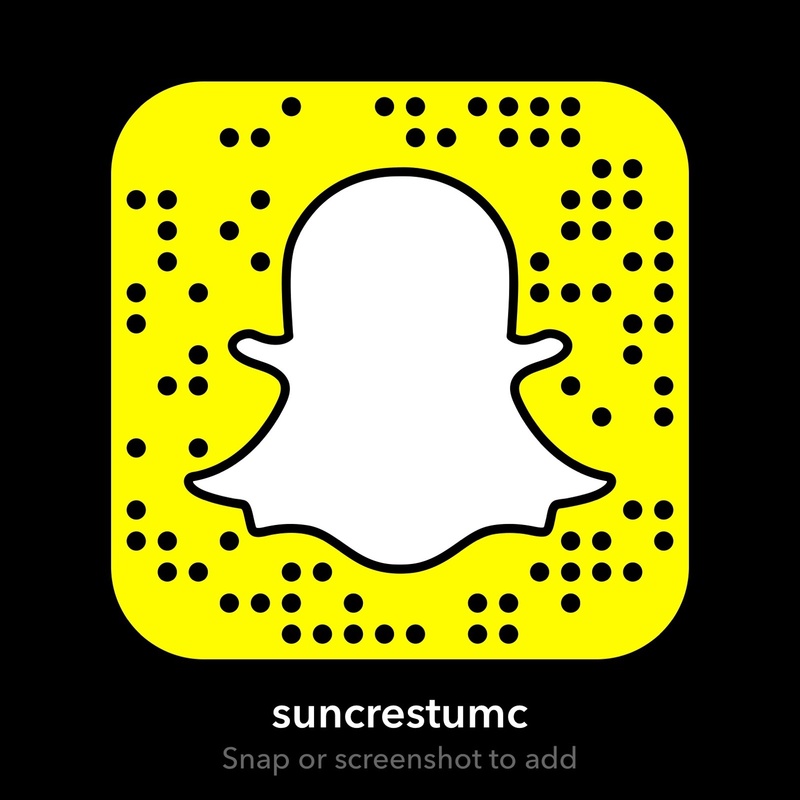 Thanks to memorial and honorarium gifts, Suncrest now has bells to 5 octaves, an additional 3-octave set, and a 3-octive set of choir chimes. In addition to using bells in Suncrest worship services, Mary works on programs where the message is illustrated by the bell music. The choirs go out into the community to share these services. Their Christmas Concert is always a highlight of the season. The Drummond Ringers have recorded two CDs. As a faculty member of the WVU Community Music Program, Mary teaches private lessons on cello and piano. She is a nationally certified teacher of music through the National Music Teachers Association. She is married to Donald Morrison, WVU professor emeritus of dentistry. They have four grown children and five grandchildren. Betty Alexander has attended Suncrest United Methodist Church for many years. A native of Slippery Rock, Pa., Betty earned a bachelor’s degree in nursing from West Virginia University. She is retired from Ruby Memorial Hospital. She has been pianist for SUMC’s Children’s Choir (now Kidz Rock Choir) for more than 20 years. 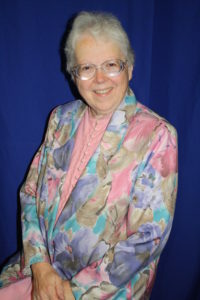 She is active in United Methodist Women and other church programs. She is the coordinator for the Historical Society dinners held at SUMC.